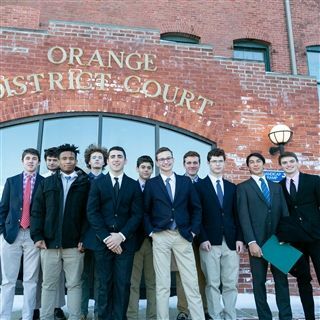 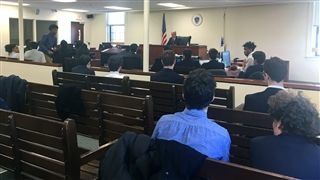 As part of their coursework in the Literature and the Law class, students participate in the Massachusetts Bar Association’s Mock Trial program. 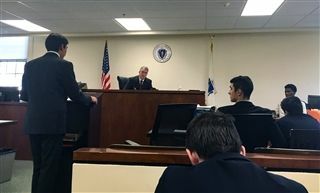 The competition for high school students from more than one hundred schools in Massachusetts affords students the opportunity to prepare a case and enact a series of trials in a Massachusetts courtroom, often with a sitting judge presiding. 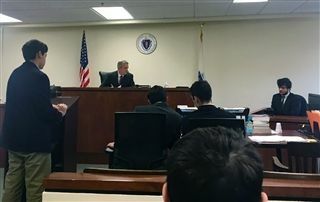 The MBA provides case materials each year, including affidavits for six witnesses, excerpts from statutory and case law, and rules of evidence. 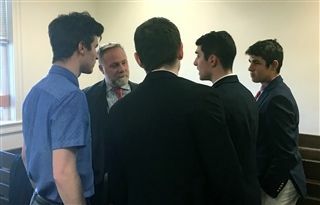 This year’s case required students to work with the statutory and Constitutional principles related to the use of force by police. 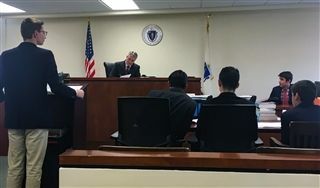 The defendant, Office Nat Hart, was charged with depriving a man of his 4th and 14th amendment by using unlawful excessive force. 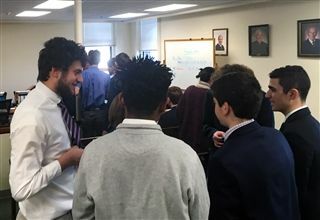 Students prepare the prosecution and defense cases and present both in the first round of the competition. 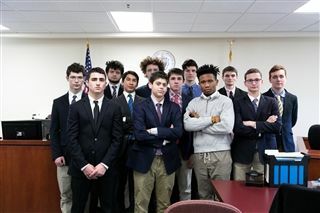 In addition to acting as the attorneys in the case, students also prepare in the role of witnesses using the affidavit provided for each witness. 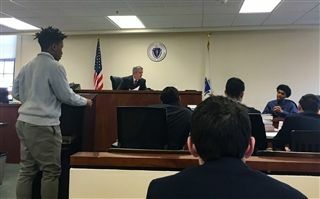 While students prepare their legal strategies and arguments in advance, the competition trials require students to react in the moment as they encounter other strategies from opposing teams.